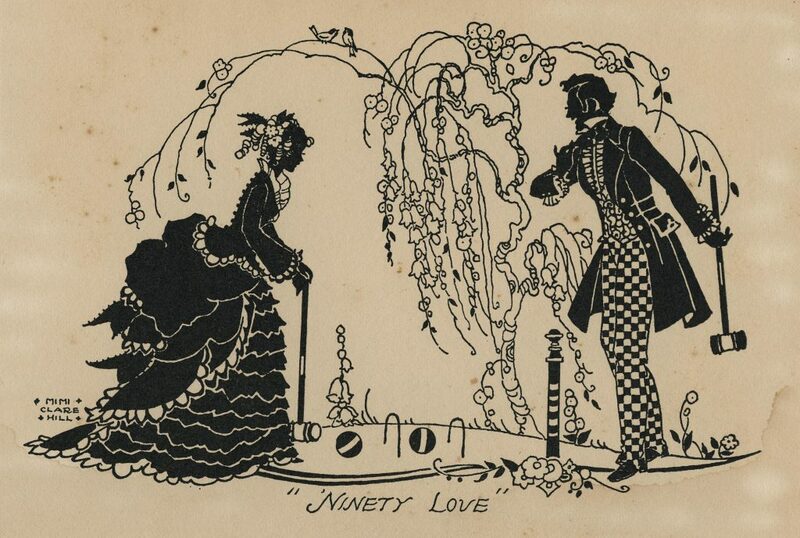 After scrolling through just a few pages of the many images in the Tremaine Arkley Croquet Collection, it quickly became apparent that croquet just had to be the topic for our Valentine’s week post. 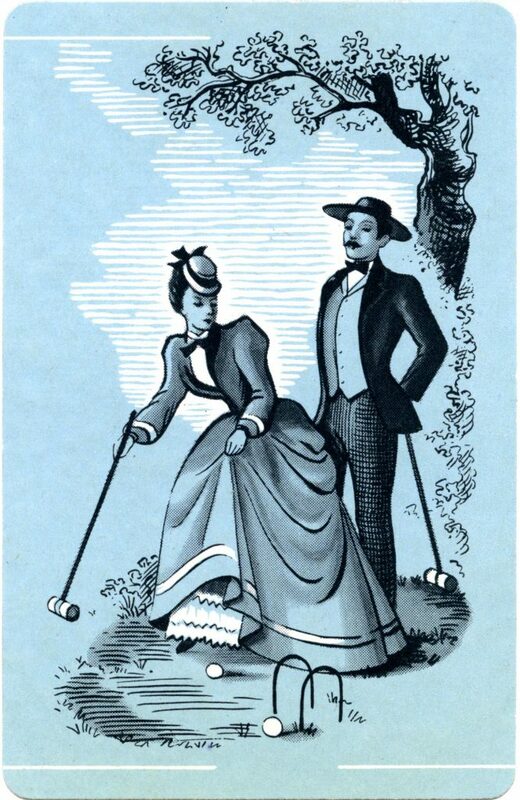 Because croquet is definitely flirty. 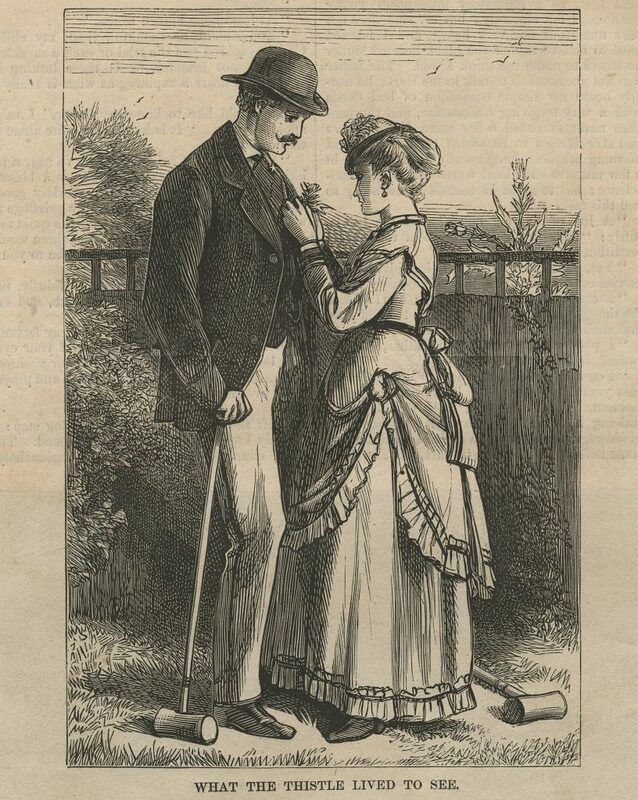 As evidenced even in our own collection by the many items surrounding the period, the sport was wildly popular in the Victorian era: a time when morality was championed, women wore modest clothing, and relationships required an outward appearance of the utmost propriety. 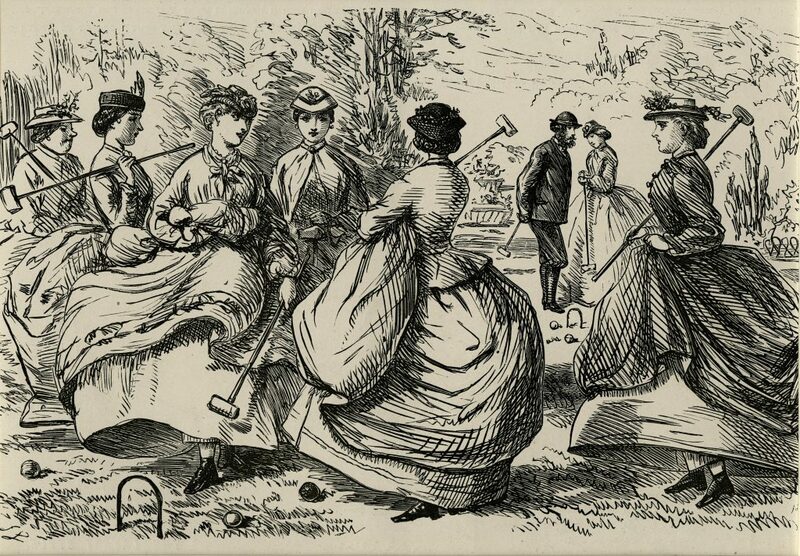 Croquet was one of the few sports approved for women because of its casual pace, the lack of physical contact, and the fact that they could still play while wearing layers of restrictive dresses. 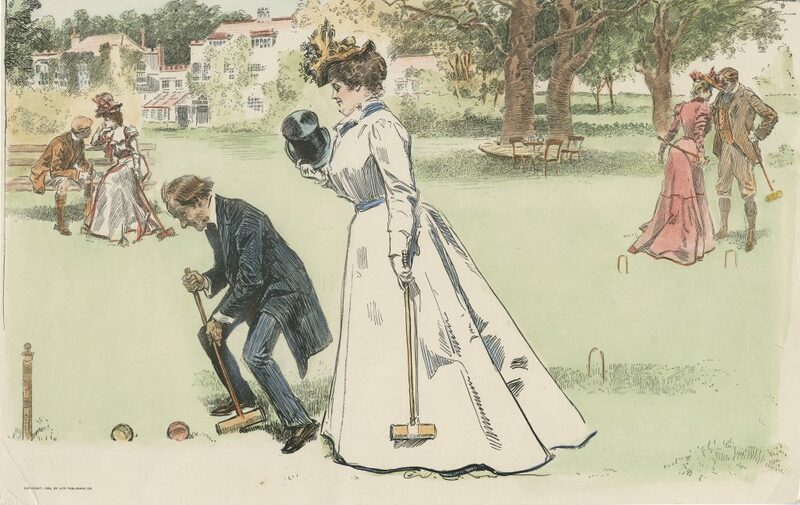 But judging by depictions from the era, croquet was also an opportunity for men and women to intermingle in public—one might even say intimately—without breaking societal rules. While the foreground prompts the title (“A critical moment”) and draws the main attention of this piece, we see some close encounters in the background. We’re thinking the excitement wasn’t just the thrill of the sport. A romantic moment between plays. A little lift of the skirt to get the best shot. Seeking solitude amidst the game. 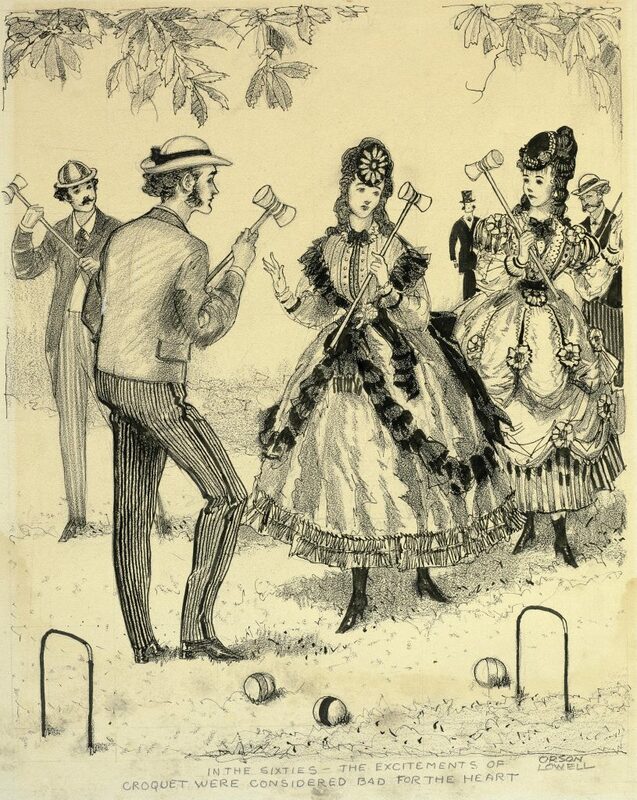 Croquet might just be the means to flirt your way into your Valentine’s heart this week! But since not everyone has a special someone to meet on the lawn, it’s important to keep a couple lessons in mind as well. 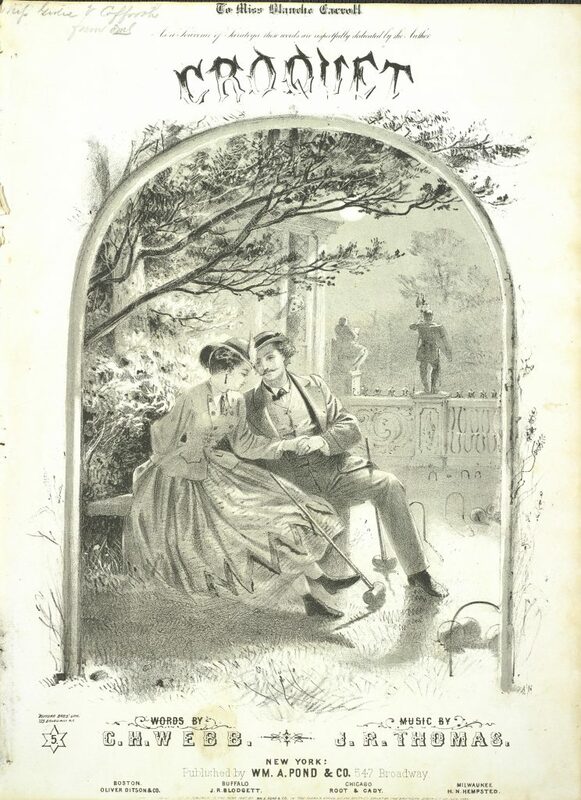 If you’re making it a gal-entine’s day: do flirt with the handsome bearded man playing nearby on the lawn, but maybe don’t hold up the game and annoy your pals. Someone might take your turn. If you’re feeling you are “not attracting sufficient notice” don’t be this guy and beg for attention in a dramatic fashion. 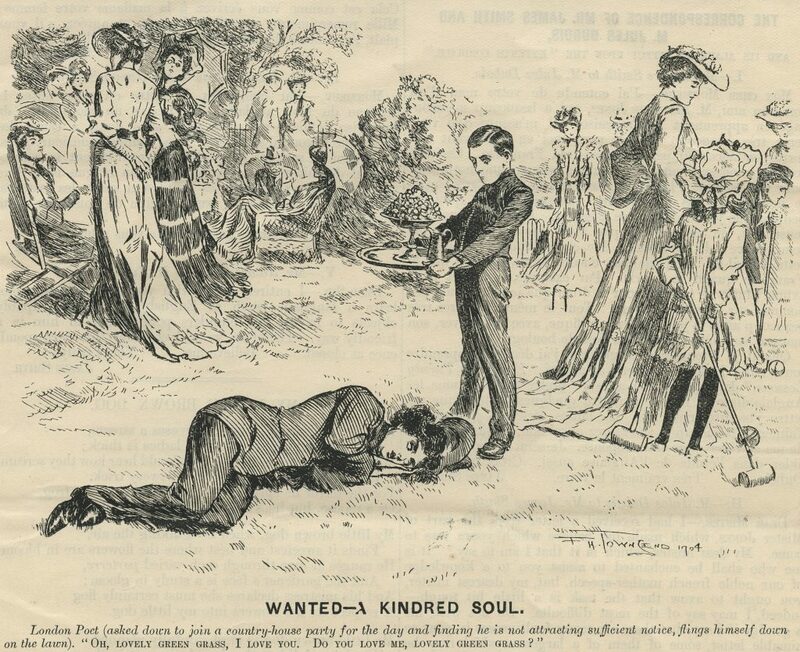 That’s just too much for the dignified game of croquet.